This quote is exactly why I started #thankfultuesday. I had a simple experience where I felt real happiness when I was truly grateful. I wanted to feel that way all the time, so I decided I needed to express gratitude regularly. I've found from doing this series that I look for opportunities to be grateful, and in the process I have become happier than I've ever been. I find happiness and joy even admits the hard days. That is why I challenge each of you to start taking the opportunity at least once a week to write down what you were grateful for that week. I promise you'll be happier. If you're not, I owe you dinner. 1. For the chance I got Friday night with a friend to make cookies and deliver it to people anonymously. 2. For the uplifting words I heard at church on Sunday, even though I was exhausted. 3. For the faith one of my friends, all the way from Brazil, has in me. 4. For my mother who takes every single one of my calls and helps me through so much even when she is out of town. 5. For my father who will listen to me complain and complain and never walks away. 6. For a relaxing night where I get to watch the NCAA National Championship, even if my team isn't winning. 7. For a fun Saturday with friends. Watching football, playing laser tag, singing our hearts out and watching laser shows. 8. For the friend who reminded me to watch a talk from a Church leader last night. The talk helped me make a change I've been needing to make for a long time. 9. To be able to go to the temple on Saturday. To be able to just forget about my problems and just feel peace. 10. That I got 3rd place out of 21 players in laser tag. I love laser tag. I absolutely lovelovelove this post, Sierra! So full of gratefulness and happiness and positivity. More people should post like this on the reg! haha! Amen to just looking at the little things in life and being able to smile and recognize them as being some of the best. Love this post as always! I am a true believer in the idea that gratitude comes before (or in sync with) happiness. This quote is so true! 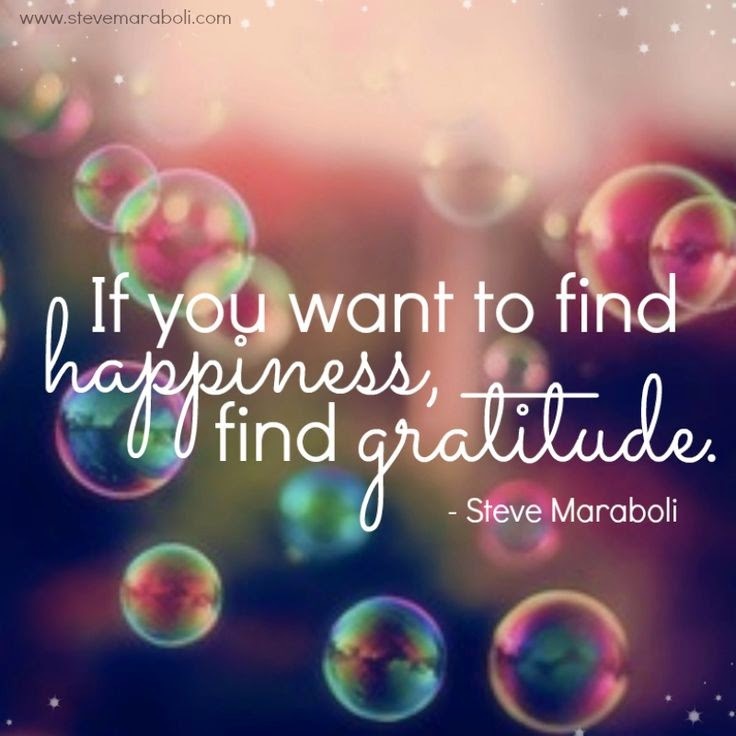 I have been starting my day by taking time to be grateful, and it makes such a difference in my happiness. Thanks for sharing this with Hump Day Happenings. I love this, an online gratuity journal! There is something about recording your gratitude that make them that more meaningful!